Certain regulations within the Health Insurance Portability and Accountability Act (HIPAA), which affect secure texting for physicians and other healthcare service providers, were implemented in March 2013 with the enactment of the Final Omnibus Rule. The introduction of these regulations meant that the rules governing secure messaging within the healthcare industry were extended to other third party service providers – including healthcare insurance providers, fund managers, administrators and brokers. The new regulations affect everybody who has access to protected health information, and organizations responsible for the integrity of sensitive patient data should now implement a system of secure text messaging to be HIPAA compliant. 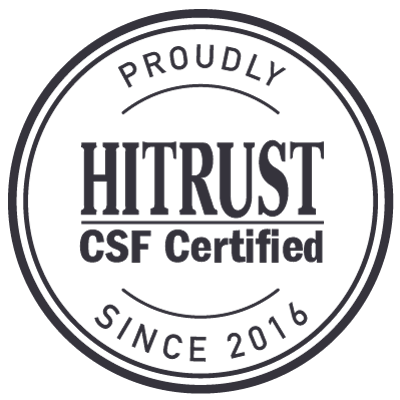 Organizations responsible for the integrity of protected health information must introduce a system of secure text messaging which is HIPAA compliant and centrally monitored to prevent unauthorized access to sensitive patient data. All sensitive patient data maintained on the messaging system should be encrypted in order that it is “unusable, unreadable or indecipherable” should data be copied from the system without authorization or in the event that the messaging system is hacked into. In order for secure text messaging to be HIPAA compliant, authorized users should be unable to store protected health information locally on their personal mobile devices when it is received in a text message or accessed remotely. Secure texting for physicians allows administration to comply with these criteria and manage staff usage of a familiar and popular feature, text messaging. Secure texting includes features that allow administration to maintain control with audit logs and “message lifespan” to ensure that data does not reside on mobile devices and is deleted after a set period of time. Authorized users access the data within an enclosed network, keeping all data accessed or transmitted encrypted over either an open cell phone network or Wi-Fi. This helps keep all patient data “unusable, unreadable, and indecipherable” to those not allowed in by the administrator. With features that keep these criteria in mind, healthcare organizations can ensure that secure text messaging is HIPAA compliant and that mobile device usage remains manageable and secure when discussing patient health information. Owners, who want to use their personal mobile devices to communicate with friends and family, send non-medical text messages or surf the Web, will be able to use their devices as normal – all secure texting by physicians will be transmitted via the encrypted messaging platform which will not interfere with any other of the mobile device´s functions. According to research conducted by the Health Research Institute, four-in-five physicians communicate protected health information or access patient data via their personal mobile devices due the convenience of modern technology (our own research suggests that figure could be even higher). Further research suggests secure messaging for the healthcare industry allows physicians to securely access and communicate patient data with instant deliverability through a reliable solution. The feature set mirrors the familiar functionalities of standard text messaging, ensuring that staff usage is easy to implement and will instantly enhance any communication workflows in the organization. With a quicker and more reliable way to communicate, organizations can use secure messaging for healthcare and eliminate endless phone tag and emails among their staff. Employees can instantly communicate and confirm delivery, allowing all physicians to focus on their patients and not waste time waiting on the response of others. 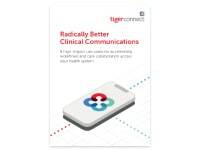 TigerConnect’s encrypted messaging platform enables secure texting for physicians by routing encrypted text messages through an “on demand” cloud-based application which requires no downloading, no tuition nor experience to use. 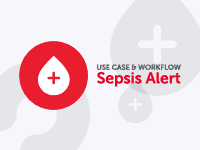 All healthcare professionals who communicate sensitive health information using their personal mobile devices – or who need to access protected health information remotely to provide the appropriate treatment for a patient – will find the application easy to understand. System administrators will find the TigerConnect platform assists them with the management of protected health information by producing usage reports, which in turn will help to ensure that all secure texting between physicians is HIPAA compliant. Healthcare professionals linked to the TigerConnect platform are able to collaborate on patient cases in real time – even though they may be many miles apart. 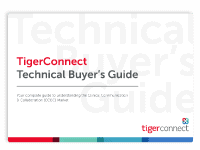 The TigerConnect platform reduces delays caused by waiting for colleagues to respond to a pager message or log-in to messaging accounts. The platform also generates read receipts, eliminating the need to follow-up messages to ensure they have been received – saving time and money. Quick and secure texting between physicians enables fast decision-making when patient records are urgently required to provide the most appropriate healthcare.